We’ve seen a great explosion of disrupting and enabling technologies in recent years that allow your average Joe to get involved in marketplaces that they wouldn’t have been able to previously. This has provided consumers with more and better options for things that used to be the purview of a select few. One of the first was stock trading, then we saw travel agencies, Airbnb and Uber, for example. In this edition of Blockchain Spotlight, we are looking at a company that could probably be a companion to all of those other than the stock trading, but if you think about their token, it even encompasses a bit of that. The company is Pally. When I travel, I prefer doing it on business. I don’t really like going somewhere as a tourist. I like to spend time with people that know the town and know what is actually fun and interesting to do and the real good places to eat are at, etc. Essentially, what Pally does is create an environment that formalizes this kind of travel style. I had a chance to speak with Pally COO and Co-founder Afiola Etomi and ask some questions to better understand what is interesting and useful for Pally. The Pally environment is built up of three basic people – there are the “miners”, the “hosts” and the “traveler/visitors”. The basic concept isn’t terribly dissimilar from a dating profile in that you are going to set up a profile in their mobile app with your interests, preferences and characteristics. When you are going to a location to visit, you can find a local “host” that can help you out and show you around. Pally distinguishes between two types of hosts with one type being the “social” host. 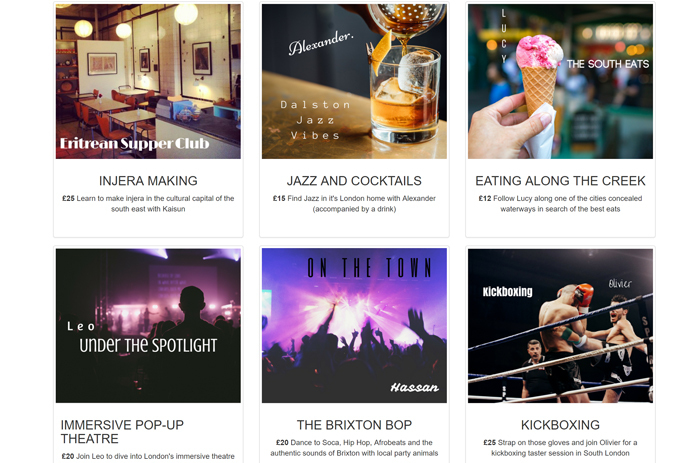 This would be along the lines of you wanting to find the best curry in London from one of the locals, so you can connect with a social host and meet for a curry and beer, for example. The local will receive free PAL tokens if they have engaged in a chat with you that is more than 10 messages. The meetup between the local and the visitor is controlled by the PAL smart contract, so at the successful completion, the visitor will confirm it was good, like an Uber rating, and then the contract releases the PAL to the local. The more a local is engaged with visitors, either through chat or showing them around, the more they can make. Pally has some more metrics involved in this, but you get the idea. They are fostering interaction from a local community with visitors to that community. The other type of Pally host is the “adventure” host. This could be considered as more of a legit tour guide, but way beyond that. Say you want to go repelling in Joshua Tree National Park. Theoretically, you could find an adventure host and join up with a group to go and do that. You would pay a fee through the PAL token. The more popular that host becomes, the larger percentage they can earn from their adventure. The same smart contract applies as with the social host – essentially, the visitors have to sign off on the experience for the contract to complete, and the host gets his PAL. The great thing about this peer review is it tends to ensure a positive experience. Finally, we have the “miner” in the Pally environment. I think it is an unfortunate term as someone who is in the blockchain space has a very specific idea of what a miner is, and someone who isn’t in the blockchain space also has one. Yet these two ideas are very different from each other and also different from how Pally uses it. In Pally, a miner is someone who refers an adventure host into the system. The miner gets PAL as referral tokens, and the higher the ratings for that host, the more PAL the miner will receive over time for that host. The incentive system is a great way to get people in there, but I’m a little hung up on the name. As a side effect of what Pally is doing, and as noted in their white paper, they believe the younger crowd in Europe, who suffer from high unemployment, will have an opportunity to enrich themselves in this ecosystem by being involved as advisors and hosts within the cities they already know and love and getting compensated for it. The net result is a better tourist experience and a boost in the local economy. 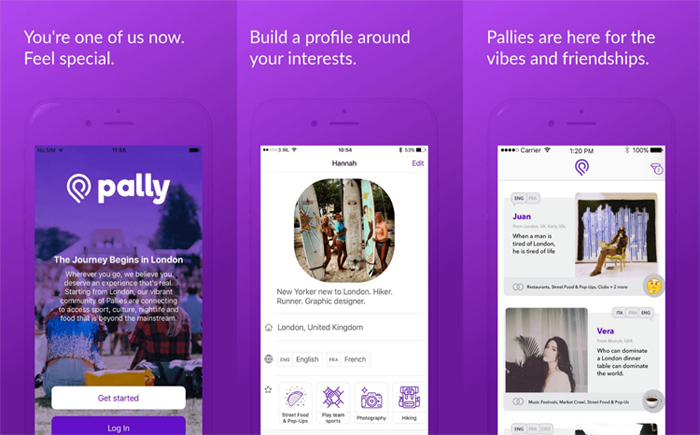 Unlike many blockchain companies I’ve looked at, Pally is really aimed at the “regular” folks, meaning they will need to insulate them from dealing with digital wallets and crypto exchanges and all that as much as possible. This is exactly what Pally will be doing as Etomi told me they are going to integrate this tightly into their mobile app. People will simply see it as buying game tokens, in essence, then they trade those for their services. Pally is taking the Airbnb and Uber models and abstracting them even more to remove the middleman and decentralize the whole process. They will be checking, however, for people who sign up to be hosts, verifying government-issued IDs, for example. Pally had a pre-ICO in August and started their ICO in October 2017, which will run through November 2017, meaning it is happening right now until they either reach their cap or the 28 days runs out. There are 100 million of their PAL token and 50 million are being sold in the ICO. There were 10 million sold in the pre-ICO. Unlike a lot of others I’ve read, it’s worth reading Pally’s white paper because they include some clear use cases.